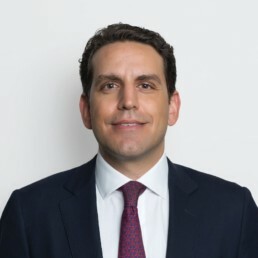 Omer started his investment banking career working for Citibank/Salomon Smith Barney and UBS Warburg investment banking divisions in New York, N.Y. between the years 1999 and 2003. Omer then moved to Istanbul in 2004 where he worked as a Vice President in HC Istanbul Securities –an independent advisory services firm backed by Morgan Stanley at the time focusing on Turkish M&A, between the years 2004 and 2005 before founding Odin Financial Advisors in March 2006. Today, Odin Financial Advisors became one of the leading independent investment banking services firms in Turkey with approximately USD 4 billion successfully completed and placed advisory transaction value. Omer’s previous investment banking advisory experiences include M&A and leveraged finance transactions in industrials, healthcare, media and technology industries in U.S., U.K. and Japan. Through Omer’s active involvement, Odin Financial Advisors is also an Associate Member of Invest Europe, a non-profit organization representing the renowned private equity, venture capital and investment banking firms. Omer is also a Board Member at the Singapore-Turkey Business Council, an organization backed by the Turkish State. Omer holds a dual degree in Political Science and Economics in B.A. from Connecticut College in the U.S. Omer received an award of excellent for his outstanding achievements by the Political Science Association of the U.S. in 1999 during his studies. Odin Financial Advisors is an independent investment banking advisory services firm that provides mergers and acquisitions and capital raising advisory services to Turkish and international companies, private equity and venture capital firms with an interest in investing in Turkey, and select Central & Eastern European and Middle Eastern markets. © 2019 Odin Financial Advisors. All rights reserved.